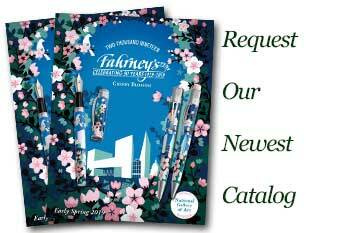 Order your Conklin Victory Ballpoint Pen today from FahrneysPens.com. Fine Pens, Refills & Luxurious Gifts – great prices & fast shipping. 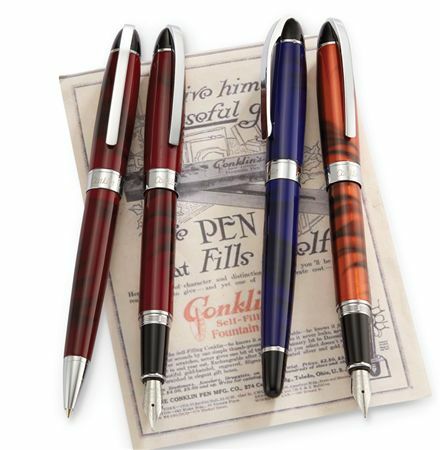 The appealing new Conklin Victory collection brings big performance to a sleek aerodynamic design with an art deco feel. 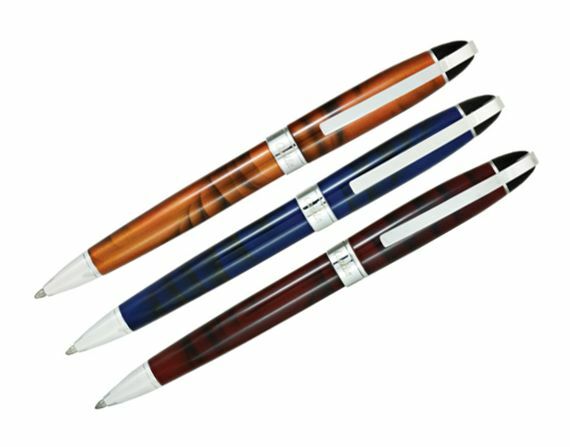 The thoroughly modern writing instrument has a solid brass barrel and cap to give heft to the slimmed down design, while triple-layer lacquering adds durability and fascinating, one-of-a-kind translucent colors. The Victory fountain pen’s pressure cap closes with a convincing snap and posts securely on the end without sacrificing balance. The all-new engraved steel nib is offered in F, M, B or 1.1mm STUB point. The polished chrome pivot clip is designed to hold tight, yet easily slide in and out of the pocket with one hand. The Victory twist ball pen is the perfect companion. Choose Ruby Red, Royal Blue or Cinnamon Brown and declare victory on your daily writing tasks!